The Gallery of Living Art, where recreation of 14 spiritual works of art tell the story of Christ's life, at First Lutheran Church on Friday, March 11, 2016. Photo by Stacie Scott, The Gazette. Camryn Pierce, 6, carefully takes a spoonful of sugar for her tea as her mother Kristian Pierce watches as the two enjoy some Victorian tea in the Tea Room following the Victorian Easter Egg Hunt that took place inside of the Miramont Castle in Manitou Springs on Saturday March 31, 2018. (Dougal Brownlie, The Gazette). Win a Bunny Basket — Basket filled with treats, hosted by The Promenade Shops at Briargate. Enter online. Visit the Easter Bunny — 11 a.m.-7 p.m. Mondays-Saturdays, with carrot break 2-3 p.m., noon-5 p.m. Sundays, Chapel Hills Mall, lower level center court, 1710 Briargate Blvd. Visit the Easter Bunny — 11 a.m.-7 p.m. Mondays-Saturdays, with carrot break 2-3 p.m., noon-5 p.m., Sundays, The Citadel, 750 Citadel Drive East. Visit the Easter Bunny — With egg hunt, 2-3 p.m. April 20, Bass Pro Shop, 13012 Bass Pro Drive. Go online for times. Easter Display — Features a candy-coated creation of farm animals, flowers, and bumblebees made entirely out of sugar, chocolate, icing and fondant, The Broadmoor, 1 Lake Ave. Living Last Supper — 7-9 p.m., Sunrise United Methodist Church, 2655 Briargate Blvd. ; 598-7013. Harvest of Sorrow — Concert with choir and orchestra, 7-9 p.m., Sunrise United Methodist Church, 2655 Briargate Blvd., free-will offering; 598-7013. Easter Bunny Breakfast — 8:30-10 a.m., Outlets at Castle Rock' food court, 5050 Factory Shops Blvd., $5. 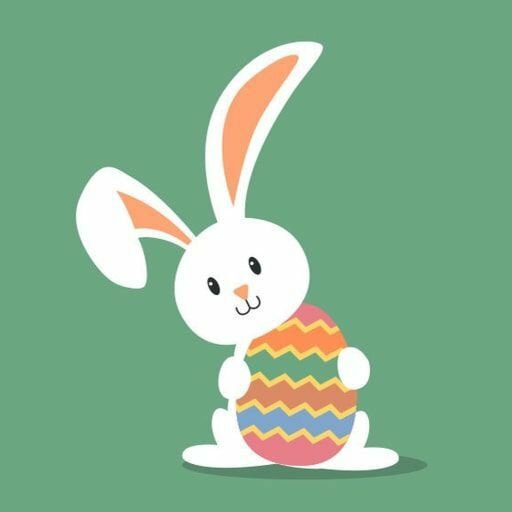 Chocolate Bunny Walk and Egg Hunt — For ages 2-10 with an adult, 9-10 a.m., 11 a.m.-noon and 1-2 p.m., Fountain Creek Nature Center, 320 Peppergrass Lane, Fountain, $6. Register: 520-6745. Chocolate Bunny Walk and Egg Hunt — For ages 2-10 with an adult, 9-10 a.m., 11 a.m.-noon and 1-2 p.m., Bear Creek Nature Center, 245 Bear Creek Road, $6. Register: 520-6387. Victorian Easter Egg Hunt and Tea — For ages 2-10, accompanied by an adult, 10 a.m., noon and 2 p.m., Miramont Castle, 9 Capitol Hill Ave., Manitou Springs, $52 for one adult and one child, $30 for each additional adult, $22 for each addition child. Reservations required: 685-1011. Easter Egg Hunt — 10 a.m.-noon, Widefield Community Bible Church, 702 Quebec St., free. Register online. Community Easter Egg Hunt — For ages 12 and younger, 10:30 a.m.-12:30 p.m., Springs Journey Church, 1250 Vondelpark Drive. Registration available online. Easter Egg Hunt — Line up starts at 12:30 p.m., hunt at 1 p.m., Cripple Creek Parks and Recreation, 128 E. Bennett Ave., Cripple Creek. 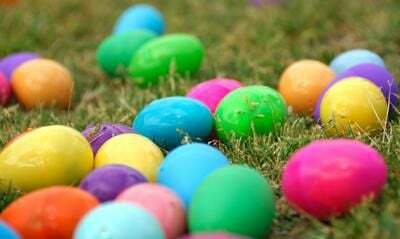 Easter Egg Hunt — 2 p.m., Covenant Presbyterian Church, 2845 Parliament Drive, free; 598-0800. Easter Sunrise Service — Gates open at 4:30 a.m., music at 5:30 a.m. with service at 6 a.m., Red Rock Amphitheatre, Morrison. Community Easter Sunrise Service — Sponsored by local Stratmoor Hills and Broadmoor area churches, 6 a.m., Myron Stratton Home, 555 Gold Pass Heights. Easter Sunrise Service — 6:30-7:30 a.m., Royal Gorge Bridge and Park, Cañon City. Easter Changed Everything — Calvary Worship Center's Easter Service, 8 a.m., 10 a.m. and noon, Pikes Peak Center, 190 S. Cascade Ave.; 520-7469. Hams and Hamstrings 5K — 8 a.m. Stetson Hills Open Space. Go online for cost and registration. Easter Train — 12:30 p.m., Royal Gorge Route Railroad, Cañon City, $44 and up. Reservations available online. Palm Sunday and Easter Performance - "St. John in Exile" — 7 p.m., Rose of Sharon Church, 229 E. Cucharras St., free will offering; 473-8730; lornamoffett68@gmail.com. If you have an Easter event, please email information to listings@gazette.com.